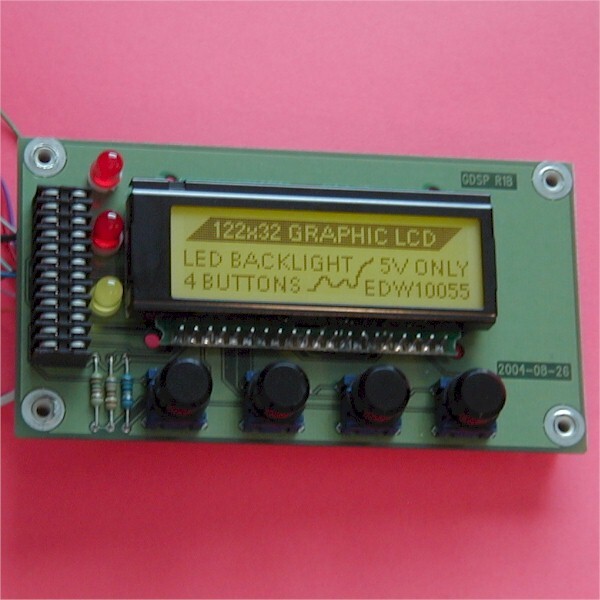 General Information Includes 4 momentary pushbuttons, 3 indicator LEDs, and an EDT EW12A03FLY 122×32 graphic FSTN LCD with SED1520-compatible controller and YELLOW-GREEN LED backlight. These require 5V only. The -5V contrast voltage is generated on-board. 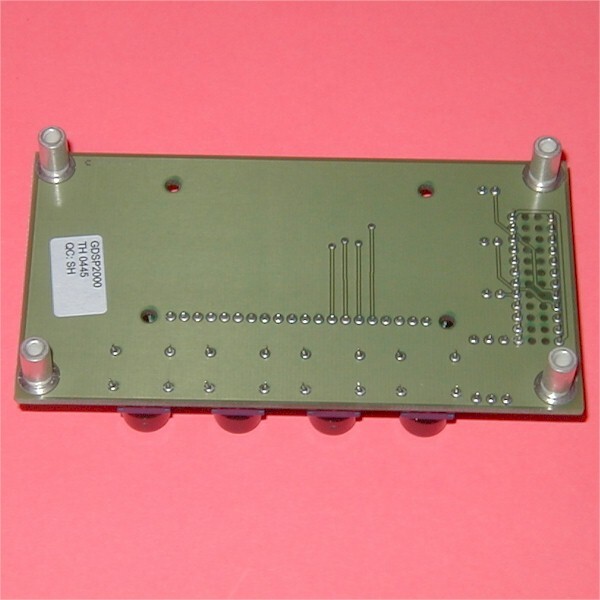 The connector is a standard 0.1″-pitch 2-row x 12-pin socket with entry through the bottom of the PCB. We will include 2 mating headers with each display. You can also just poke wires into the socket like a breadboard. The backlight is hardwired to come on with the display. The series resistor on the PCB limits the backlight current to around 70mA @ 5V. The contrast is also hardwired with 2 resistors on the PCB. The switches and indicator LED cathodes are connected to ground. 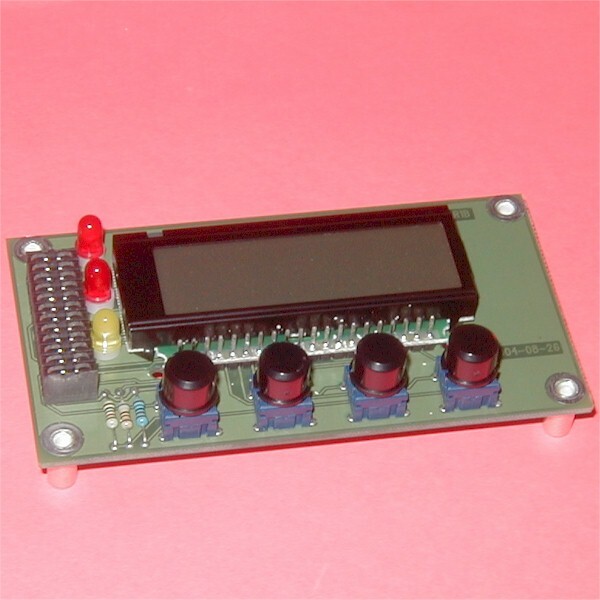 The indicator LEDs will require external current limiting. 2004 date code. These are new in original factory packaging with protective film attached. We’ve got the display working with LCDHype using a modified SED1520 driver. No additional parts are required beyond the parallel cable and a 5V power source. I’m looking for the Graphic Display with the reference number EW12A03FLY, which I found on your site. Is it possible for me to order this unit ?